We have another special guest this week on Global A Go-Go. 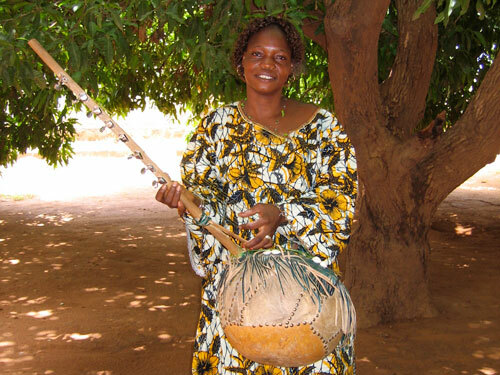 I'll be joined in the studio by Kokanko Sata Doumbia (pictured above), a singer from the Wassoulou region of southern Mali who is one of the few women who plays the kamale ngoni (youth harp, similar to a small kora). I'll chat with Kokanko Sata and she'll perform a few songs in WRIR's Live Room. Then she'll head over to Church Hill to perform at Sub Rosa Bakery (620 N. 25th Street) -- Hotel X will open for her, and the show there starts at 7:00 PM. After the interview and performance I'll play some other artists from Wassoulou, including that region's most famous export, Oumou Sangare. 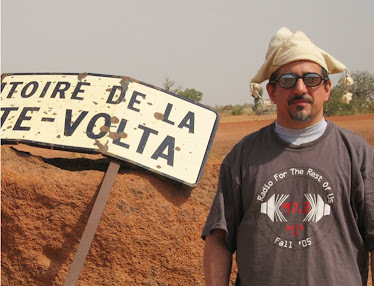 In the second hour of the program, we'll dig into Caribbean country music: twoubadou from Haiti, Jamaican mento and Dominican bachata. And we'll finish up with boogaloo and Latin soul, some old and some brand new.